Adonis Interiors L.L.C. have ISO 9001: 2015 and Environmental Management system ISO 14001: 2004 from reputed auditing agency BAS (Bureau of Assessment Services). Our Health & Safety & Environment Policy (HSE) is certified as per international standard of Occupational Health and Safety Assessment Series (OHSAS 18001: 2007). and we are one of the Innovative Interior & Exterior Designing Company in the United Arab Emirates. Our company has the capability in providing your entire Interior and Exterior architectural needs from design conceptualization and calculation up to site execution and hand over. It’s relatively self-sustained infrastructure encompassing the creative team of technical experts, art consultants and project managers are ready to offer a unique combination of commercial experience, high quality service and after sales support. Adonis Interiors LLC is a Dubai based interior and exterior designing company established in the year 2002. It offers turnkey solutions across different industries and has successfully completed approximately more than 600 projects over the span of 15 years. It delivers global standard services made possible due to the creative team of technical experts, art consultants and project managers providing synergies and speedy final execution. Adonis Interiors L.L.C. has ISO 9001: 2015 and Environmental Management system ISO 14001: 2004 from reputed auditing agency South West. Our Health & Safety & Environment Policy (HSE) is certified as per international standard of Occupational Health and Safety Assessment Series (OHSAS 18001: 2007). We are specialized in execution of electro – mechanical works (HVAC, Electrical, and Plumbing) in residential, public, & commercial buildings, as well as in industrial complexes and factories. Abode Electromechanical LLC provides complete Supervision, Designing, Planning, Contracting, and Maintenance Services in all aspects of MEP works. The Management who run this company has extensive experience in all forms of MEP works. Adams is committed to a quality management system with an ISO 9001 : 2008 B.A.S (Bureau of Assessment Services) quality standard having all statutory registration with Dubai Civil Defense. we also have specialized professional team of engineers and technicians to install and operate your fire alarm systems to ensure total security and safety. We ensure that our customers get the most relevant information and advice to suit their particular requirement by regular Inspection and review of all fire safety equipment. DXB Technical Service is a Dubai based company with qualified and experienced management, work force who’s specialized in installation of all kind of Aluminum windows, Doors, Frame less Tempered Glass Shop front, Automatic Tempered Glass Doors, Gypsum, Interiorsative Glass. Double glazed Glass, Glass Furniture Sandblasted Glass and Mirrors both supply and fixing. PROMECH TECHNICAL SERVICES LLC is located in Dubai, Emirates. Company is working in erection and fabrication of steel structures. Steel erection involves positioning, aligning and securing the components on prepared foundations to form a complete frame, assembly of steel components into a frame on site, and it can be a significant project cost. UNIQUE GRC & GRP Manufacturing LLC engaged in manufacturing various GRC, GRP & GRG products in UAE. We have undertaken many major projects and executed with utmost perfection recognizing the maximum satisfaction of clients, consultants and contractors. The quality of our products and services are recognized and satisfied by clients .We have sufficient workforce under supervision of highly talented engineers. Our Quality control starts from the procurement of raw materials and continues with the fulfillment of customers end. Rapid Adapt provides services in software development and embedded solutions. With a state-of-the-art infrastructure and a team of highly-skilled professionals, we render world-class services to our clients. 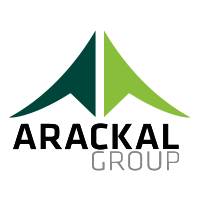 Arackal Charity Foundation provides immense service for the society and save many valuable citizens from irretrievable loss. We focused on providing all education aid for the talented needy ones, Pain and Palliative care. Also we are providing the medical aid for the Cancer Patients, Build homes for the really needy people etc. We are running the institution from the supports of our group companies; they are providing 20% of their net profit to us as the social responsibility commitment.